One of the biggest factors for male and female fertility issues is weight. Reaching and maintaining a healthy weight can improve fertility as well as create a healthier environment for supporting a pregnancy. Incorporate fruits, vegetables, whole grains, and lean protein into your diet and make healthy snacking decisions to cut the pounds. Research has shown that caffeine can impact fertility, although some studies have had mixed results. To be on the safe side, it is best to avoid caffeine while trying to conceive, especially when undergoing fertility treatments such as IVF. Carbohydrates are an important part of a healthy diet. However, processed carbohydrates such as the ones found in potato chips, white bread, pasta, and white rice can impact fertility, especially for women with PCOS (Polycystic Ovarian Syndrome). When you eat processed carbohydrates, there is an immediate surge in blood sugar. PCOS can be made worse, or more difficult to treat, when blood sugar surges occur. Colorful vegetables, particularly those in bright hues, pack a nutritional punch. Blueberries, red peppers, spinach and kale are great sources of nutrients and antioxidants which can improve your overall health. Both men and women should take a multivitamin daily to ensure they’re getting the recommended doses of essential vitamins and minerals. It is a good idea for women to start taking prenatal vitamins before they get pregnant. 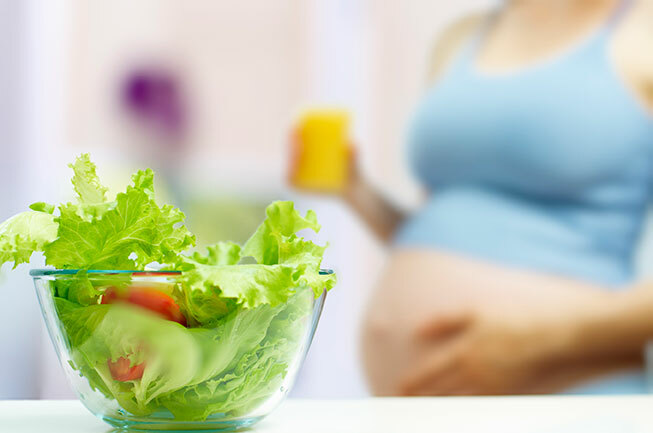 Folic Acid, a key component of prenatal vitamins, helps to prevent birth defects when taken during early pregnancy. For additional information on how your diet can help to improve your fertility, contact the experts at New Hope Fertility Center. Their team of fertility experts focus on holistic approaches to fertility care, including using diet to enhance fertility. Please click the link below to enter your information and New Hope will contact you, or simply call 212-517-7676. Thank You. ← Can DHEA Really Enhance Your Fertility Treatments?